Spacesaver Staircases made to measure how do I order one? Home / Spacesaver Staircases / Flatpack Spacesavers / How to Order a Spacesaver ? 1. We need the floor to floor measurment you require (total rise) for your staircase. 2. What model you require. 3. Are you happy with the standard 650mm width if not let us know what width you would prefer. 4. Your Name and Address. 5. Do you require any handrails. 6. Do you require carpet inserts. 7. Ok Email or phone us your requirments and we will confirm the total price including the cost for delivery (usualy £99.00 + VAT For Assembled subject to location and its the same rate for a flatpack ). Nationwide deliveries - We deliver all over the mainland UK. We also have order enquiry forms on the web for the Budget and Birch 24 spacesaver staircases filling out these forms online can save time on the telephone. If you require a 14 riser flight expect to pay an extra £50.00 + Vat over the standard online prices. As all of our staircases are purpose made payment is required with order. Staircases can be collected from the factory. 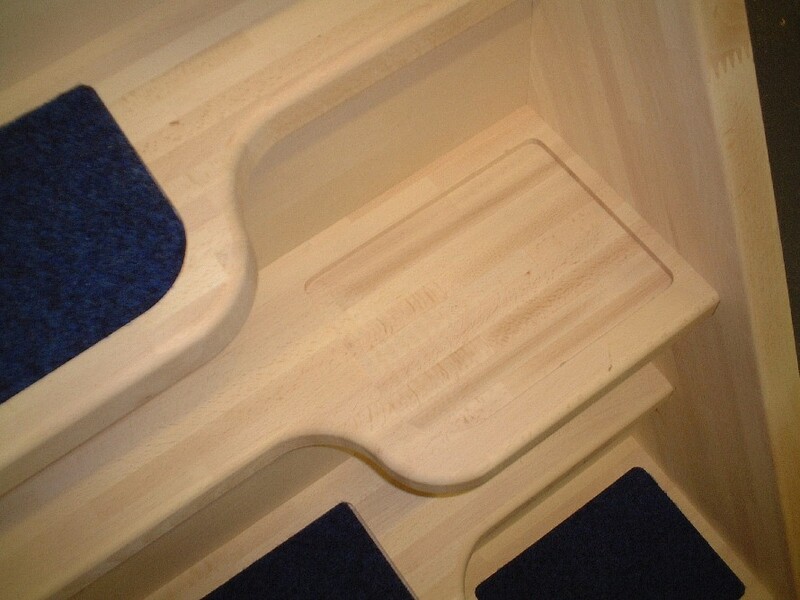 Extra risers over 13 are £50.00 + Vat each.